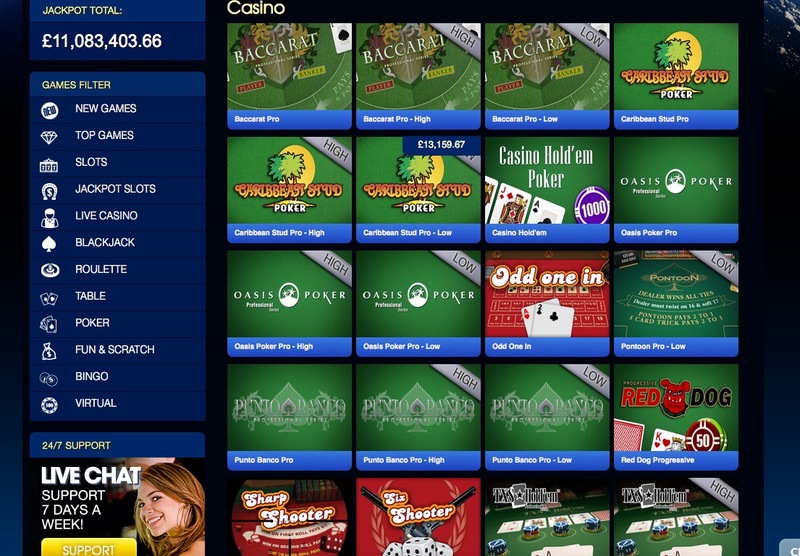 Huge slots is a site that offers a huge array of slots, and the imaginative marketing does not end there. A simple bordering on boring design needs more than the little bit of a dark blue lit planet in the background of the homepage to make an impact really. But there is something to be said for a site that doesn’t try and impress with glitz and glamour, as long as the other, arguably more important, aspects of the site are good enough. You’d be forgiven for assuming that Huge Slots has nothing but slots, and in fairness, a large amount of the focus is on this particular gaming type. But there are other options as well, and they are all very easy to find thanks to the simple navigation of the site. Casino and table games are available in abundance. Many forms of roulette, baccarat, poker and more are at your fingertips, and the live casino is perfect for those looking for a true to life experience. Barbados and 75 ball bingo rooms are also available for those who are more fond of bingo play, and scratch card games are also a popular choice, as are the virtual sports games, Huge Slots offers a selection of these that is unlikely to be matched elsewhere. Not to leave a stone unturned, Huge Slots also offer a good selection of choice for the often overlooked mobile and tablet user. However, obviously, it is with slots that Huge Slots comes into its own. A tremendous amount of slots to choose from, you are bound to find your old favourites such as Starburst, Gonzo’s Quest, Jack and the Beanstalk, and Judge Dredd, mixed in with new games to discover such as James Dean and Pyramid – Quest for Immortality. Whatever you are looking for from your gaming experience, you are likely to find it at Huge Slots which makes it tempting for anybody. However, if you favour slots above all else, then one may suggest that this site is unmissable.